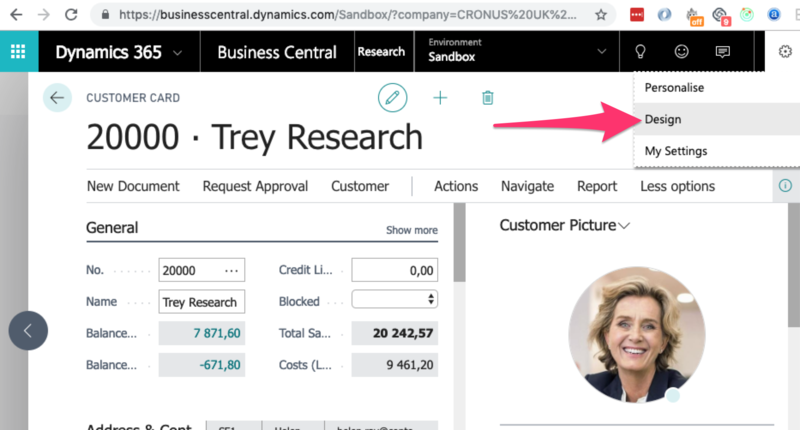 If you've set up custom fields for your Dynamics 365 Business Central app (or if you're planning to do so), you hope for these to be included in your sync. Luckily PieSync allows you to do so, but we need some steps on your side to help us achieve this. Open the Customer Card of any of your customers and click on "Design". 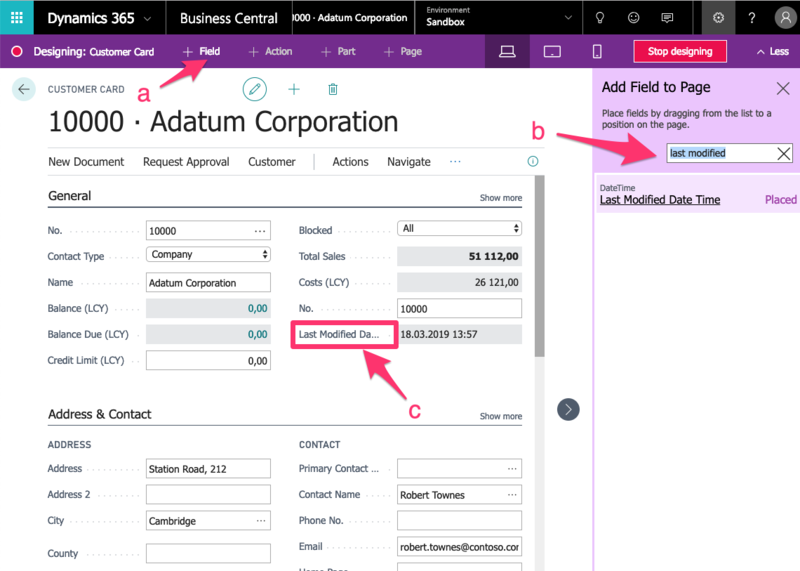 Add the "Last Modified Date Time" field to your Customer Card. 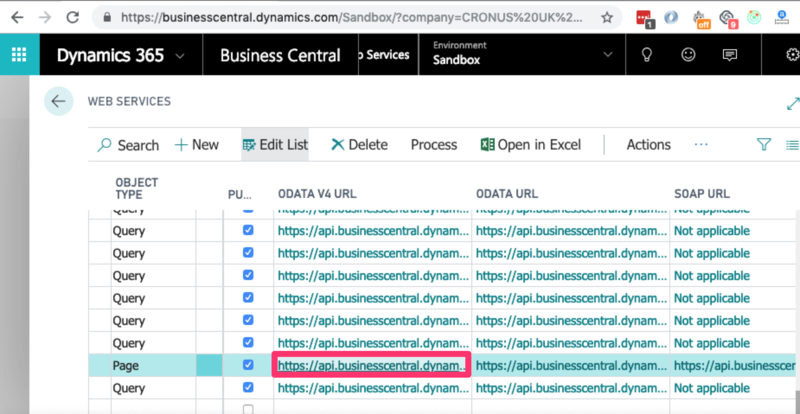 Step 2: Get your OData v4 URL. 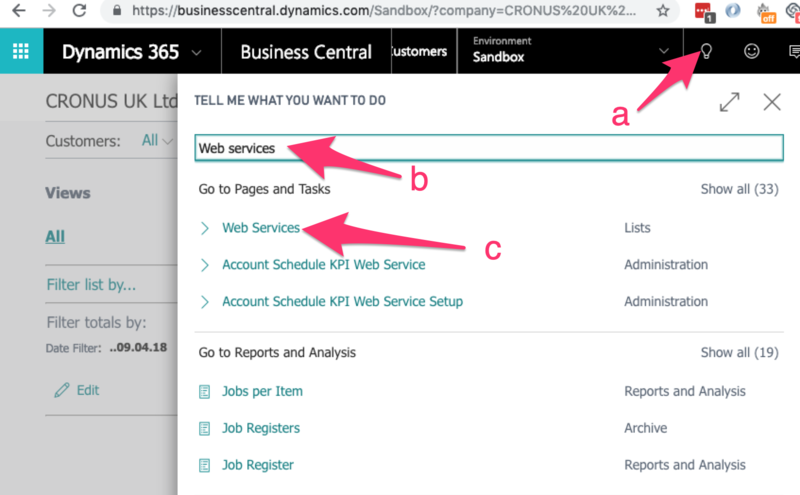 You can use the scroll bar at the bottom of the Web Services page to scroll right to find the `ODATA v4 URL`.